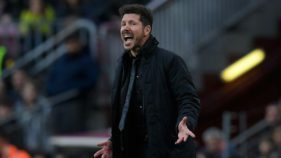 Atletico Madrid coach Diego Simeone believes Diego Costa's eight-match ban is harsh and has dismissed suggestions the striker could be sold in the summer. 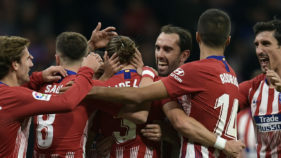 Atletico Madrid's underwhelming start to the season might have been overshadowed by the crisis enveloping city rivals Real but there will be no place to hide against Borussia Dortmund on Tuesday. 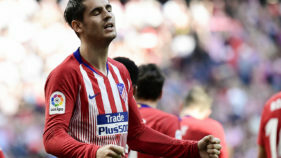 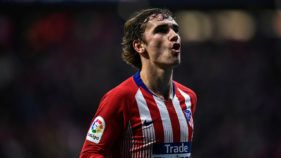 Diego Simeone hailed Antoine Griezmann as the best player in the world after the Frenchman's double fired Atletico Madrid to victory over Club Brugge on Wednesday. 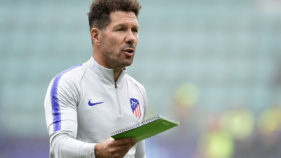 Atletico Madrid manager Diego Simeone will "sooner or later" become coach of Serie A giants Inter Milan, his sister and agent claimed on Sunday. 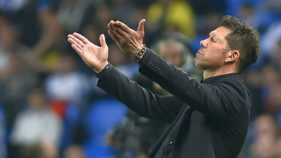 "I think it's only a matter of time. 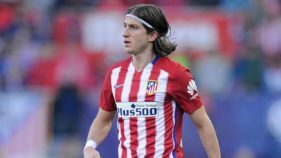 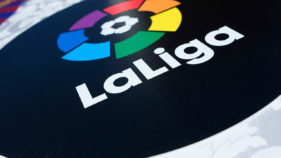 Atletico Madrid coach Diego Simeone wants to hold on to defender Filipe Luis amid reports the player has received an offer to join Paris St Germain, and said having the transfer window open at the start of the season is a distraction.